The Johnson City, Tennessee, native has been with the FCIM team for five years. 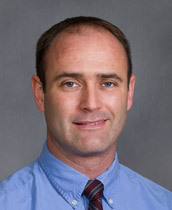 A graduate and valedictorian of Milligan College, Dr. Pearson is a recipient of numerous awards and accolades including the Gerald Plitman Internal Medicine Award, UT ’03, and the Bryant Kendrick Memorial Award from Wake Forest University Baptist Medical Center in 2006. Dr. Pearson became interested in medicine through his father who is a pediatrician at FirstChoice Pediatrics. He is happily married with three children. When he is not practicing medicine, he enjoys woodworking, hiking, and gardening and being an active member of his church.